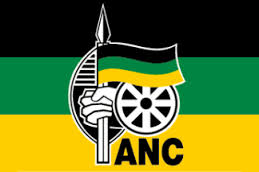 The African National Congress commends all stakeholders for the consultative and collaborative approach which has led to the announcement of the new dispensation on e-tolls by government led by the Deputy President of the Republic, Comrade Cyril Ramaphosa today. We believe that the new e-tolls package announced moves the people of Gauteng – and by necessary extension of South Africa – forward; considering the need for sustainability of the South African National Roads Agency Limited (SANRAL). It has struck a balance between the needs and concerns of the people of Gauteng and the imperatives of developing South African society and our economy through large-scale infrastructure. Government and the ANC have listened to the concerns of the people of Gauteng. This is a clear demonstration of participatory representative democracy and the relevance and power of public consultation. With the new dispensation unfolding, it is essential for the people of Gauteng and South Africa at large to get back to the business of building a better South Africa. This can be achieved by making use of the compromises that have been made, and complying with the new linkage between e-toll payments and the issuing or renewal of vehicle licences. The concessions made are a direct response to the outcry by lower to middle income households about the impact of e-toll tariffs on their pockets. The people have been heard, and Government has responded positively. We now need to work together as South Africans to keep Gauteng moving forward. The Gauteng Freeway Improvement Plan remains a critical component of our drive to support economic development through investment in the building and maintenance of quality economic infrastructure. Of course the ANC will welcome the ongoing implementation of the system that siphons off cash from our hard working citizens to the overseas accounts of comrades and connected people. How much of this cash actually will go into fixing the roads?? How much is lost on the gantries, systems, payments to overseas companies, rental for eToll offices, private police, local IT support, SANRAL administrative overheads etc….